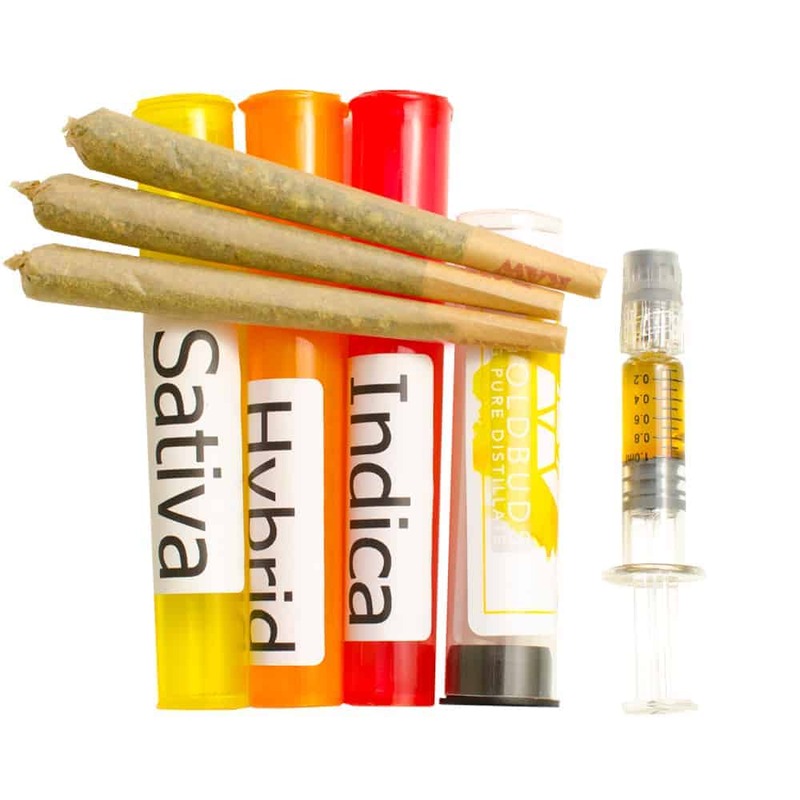 3 x 1gram shatter infused pre rolled cone joints, (1 sativa, 1 hybrid and 1 indica) as well as 1gram of our Goldbuds Distillate. As always, we use Raw Classic King-Sized Cone natural rolling papers. With a patented CrissCross watermark Raw papers are the perfect vessel for this heavenly combo. A smorgasbord of our recent Goldbuds strains and infused with our high-quality shatter to bring to a party for everyone to enjoy! Guaranteed to satisfy even the most experienced smoker, our cones are hand rolled and pre selected for this party pack. Reusable Doob Tubes protect the cones and are safely packaged in a “Smelly Proof” bag perfect for transportation! Purchase this product now and earn 75 Goldbucks! 1 review for "Goldbuds Pre Roll Party Pack"
Decided to pick up this shortly after it was first posted and was sort of unsure as there was no reviews. I’m a daily smoker so joints often just don’t do the trick unless they have a little extra something something. Happy to report these pack a punch! Was completely satisfied with the shatter infused J’s, which is a very high standard. Distillate was great as well, came with a full g where as all to often other brands of distillate syringes have 0.8 or 0.9ml in them.